Both intensive weight training and endurance exercise can decrease the body’s energy stores. Therefore, it can be beneficial to quickly replenish all lost vital substrates. 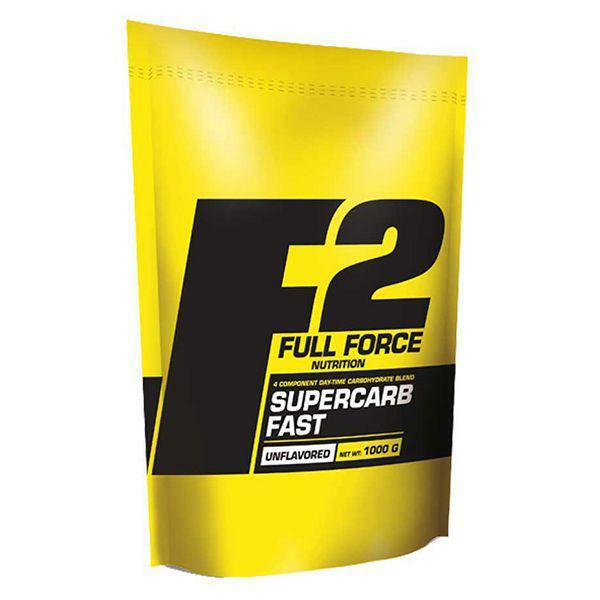 SUPERCARB FAST contains 4 different types of carbs: Waxy Maize Starch, Maltodextrin, Dextrose and Fructose. Waxy Maize Starch consists mainly of very high molecular weight, branched-chain amylopectin. The molecular weight of Maltodextrin is around 1,000-10,000, while Dextrose and Fructose are approximately 180 each! This straight chain, high dextrose equivalent maltodextrin has a high-glycemic index. It has generally been accepted by science that prolonged submaximal exercise is limited by the availability of muscle and liver glycogen stores and that these stores increase when carbohydrate intake is high. It has also been shown that the rate of glycogen (stored carbohydrate in the body) synthesis is highest in muscles in which the glycogen stores have been depleted by exercise. The rate of glycogen synthesis following exercise is of importance for athletes during training sessions with repeated periods of heavy or submaximal exercise, as well as during competition especially when several periods of intense exercise are performed. Since this is a macronutrient category product - carbohydrates - your usage totally depends on your individual needs. 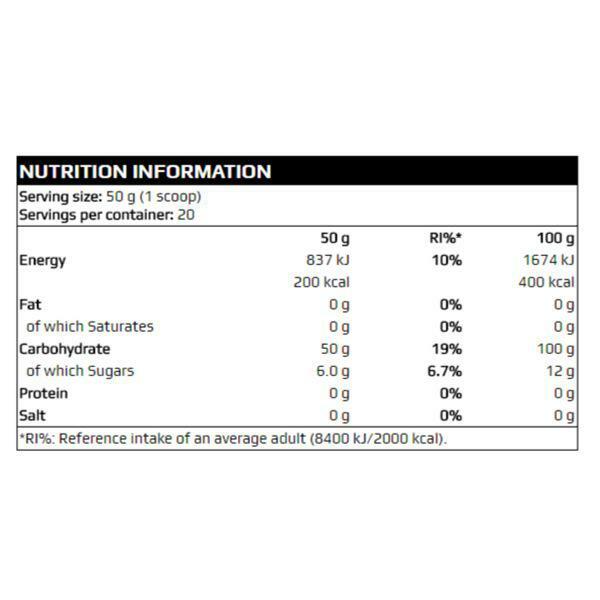 Typically, mix one serving (50 grams of powder) with 500 ml of liquid (protein shake, fruit juice, etc.) and drink prior, during and/or right after your workout.